Have your children fled the nest and you’re left with your partner trying to fill the space in a near empty house? Has your financial situation changed and think you could benefit from cheaper rent or smaller mortgage repayments? Then you may be considering downsizing and moving to a smaller home. Whatever your reason for needing to move house here are some helpful tips on how to ensure a successful and stress free relocation to a smaller abode! There’s no doubt that moving to a smaller home has its challenges, the main one of which is what to take with you as you embark on moving house. While removal services can be costly, small removals are much cheaper, so by de-cluttering and deciding what items to take with you will save you some money. If you find yourself a little stuck on what to take and what to donate to charity, bin or sell, ask yourself what you need and still use. You may also be keeping furniture and items that are simply of a sentimental value and will have no place in your new home. Once you’ve de-cluttered by deciding what needs to be donated or sold and what you’re taking with you, you can determine which type of removal service will best suit your needs. However before you do that, why not auction items that are in good condition, but that you don’t need or have no room for on an online site like eBay. You might also want to hold a car boot or garage sale. Selling items could fetch you some extra cash, which you can then use to hire an independent removal company if you don’t have too many heavy items to relocate. There may be items you refuse to part with, but that you know won’t fit in your new accommodation. 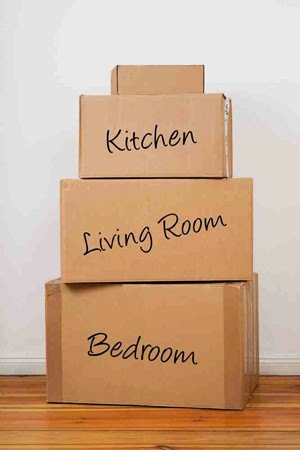 A perfect option here would be to hire removals and storage services. The moving company can then arrange for your items to be stored in a reliable storage unit. Remember however to pack your items accordingly for storage, so they are protected and don’t succumb to any damage or damp. While there are some cheaper storage solutions out there, you could ask friends or family if they have the space to store these items until such a time when you ready to part with them. When downsizing there’s nobody that can offer better advice and help than professional movers. Reliable removal companies will know exactly how to best move you to your new smaller home with efficiency and ensuring the safety and protection of all your belongings. By hiring a removal company they will even pack up all your belongings, taking special care with fragile items and furniture removals. While you may be thinking about the costs, let me assure you that it’s definitely worth hiring a professional removal service to take care of all your relocation needs. The advantages I’ve mentioned above are just a few offered by London moving companies. You don’t have to break the bank, particularly if you do your research and limit the amount of items you’ll need to load onto the moving van. Downsizing doesn’t have to be a negative thing, even with the added stress of deciding what to take with you and what to leave behind. Look on the bright side! They’ll be less to clean and you can have a warm and intimate gathering of friends to celebrate soon after your move in date!